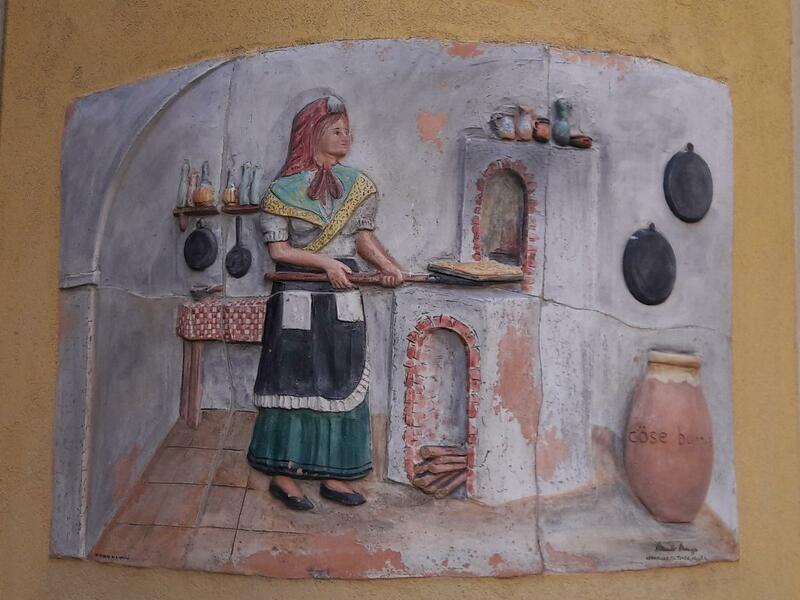 Before recently, I had never heard of a town named Celle Ligure. 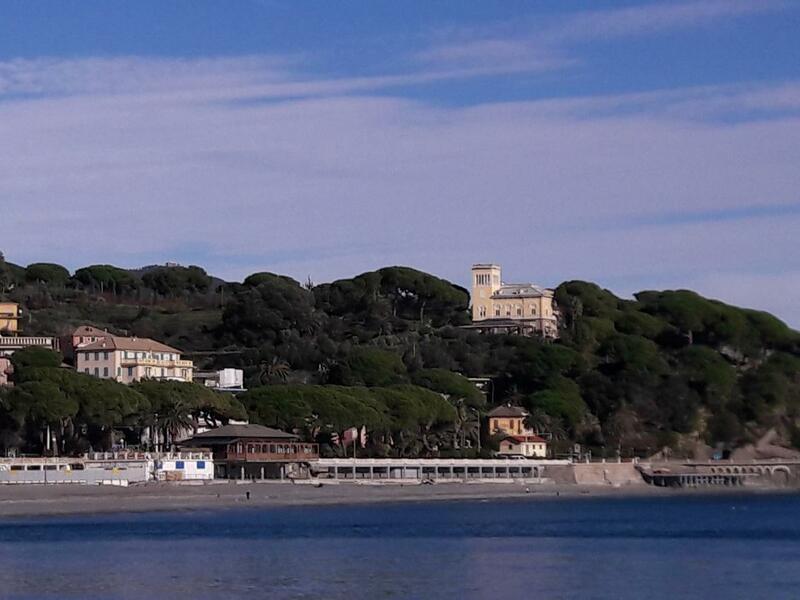 Here in the province of Savona, I found another beautiful, hidden, curved gem along the shoreline of Liguria. As we arrived via train, the immediate view was less than beautiful. 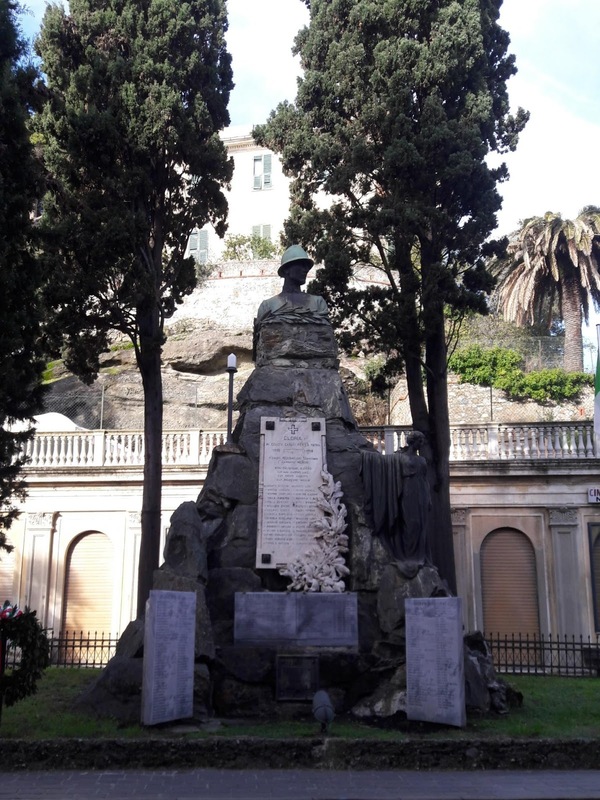 Soon, however, we were walking by a monument to the locals who lost their lives in the two World Wars. 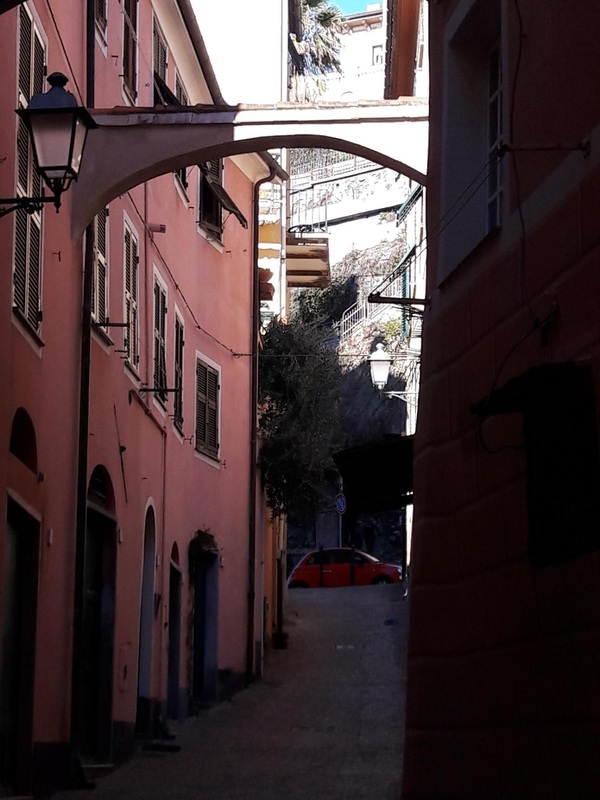 Next, we were strolling along medieval streets with arches supporting the walls across the streets. 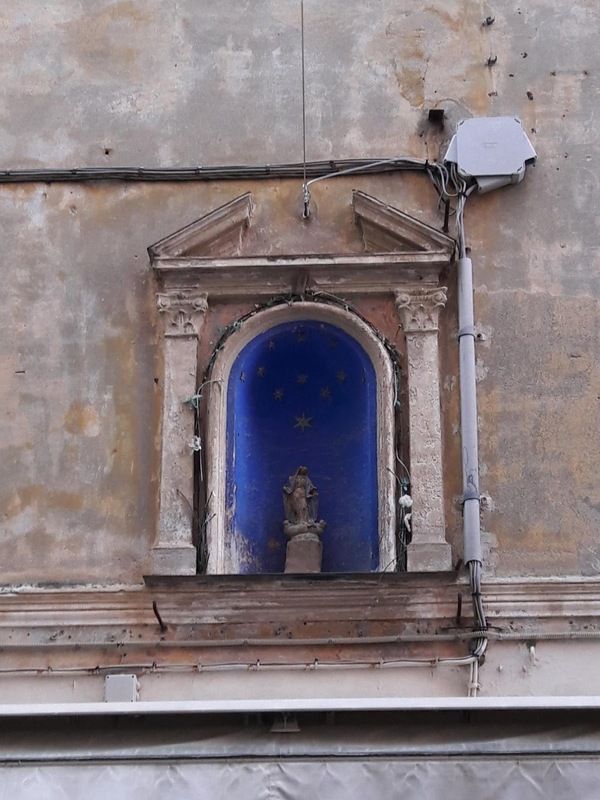 And shrines to the Madonna. 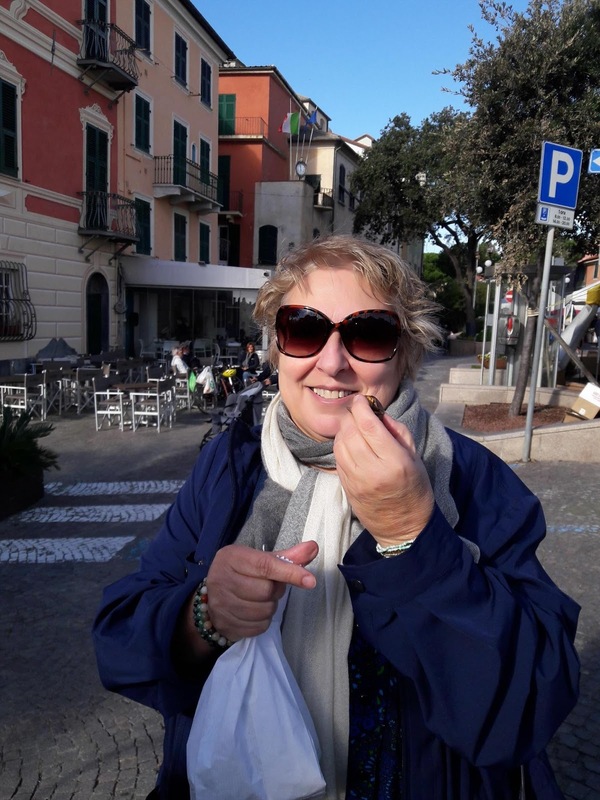 We hadn’t even reached the waterfront yet and Celle Ligure had begun to steal a piece of my heart. 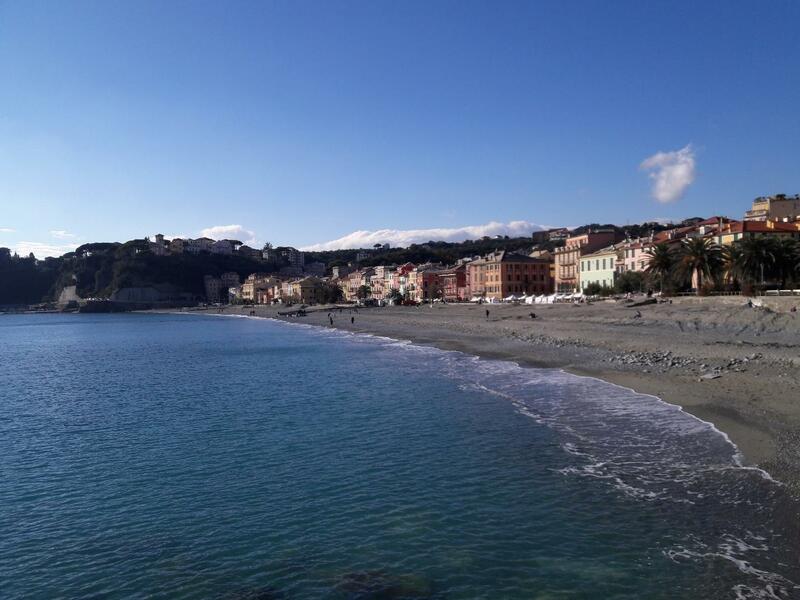 By the time we could see the sparkling blue water of the Mediterranean, I found myself comparing the curved and sandy shoreline to that of Camogli. The terrain was flatter than Camogli but shared the colorful homes alongside the waves. The Celle promenade was quite a bit more prominent and seemed to go for miles. 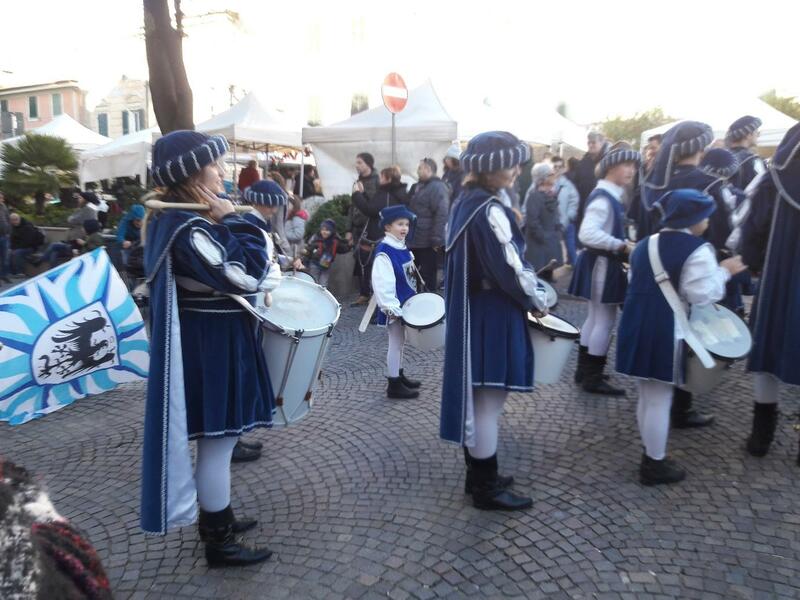 The reason we were visiting Celle Ligure today was for their winter festival. 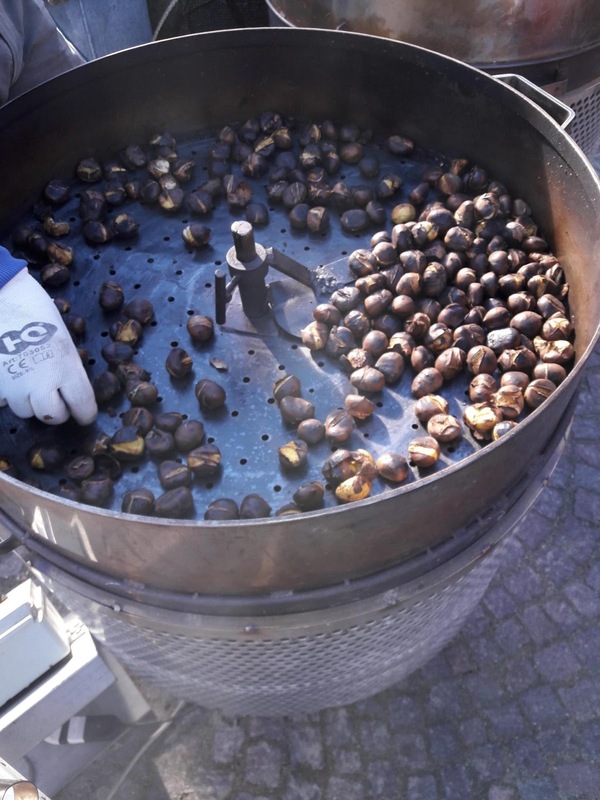 What’s a festival like this without castagne, chestnuts, roasting? I bought a fresh, warm bag. Next, we shopped at all the artisanal booths. We purchased original gifts for family and friends. I shared the chestnuts with the people behind one booth and thereby gained a sconto, discount, from the next table. We were all getting hungry now. 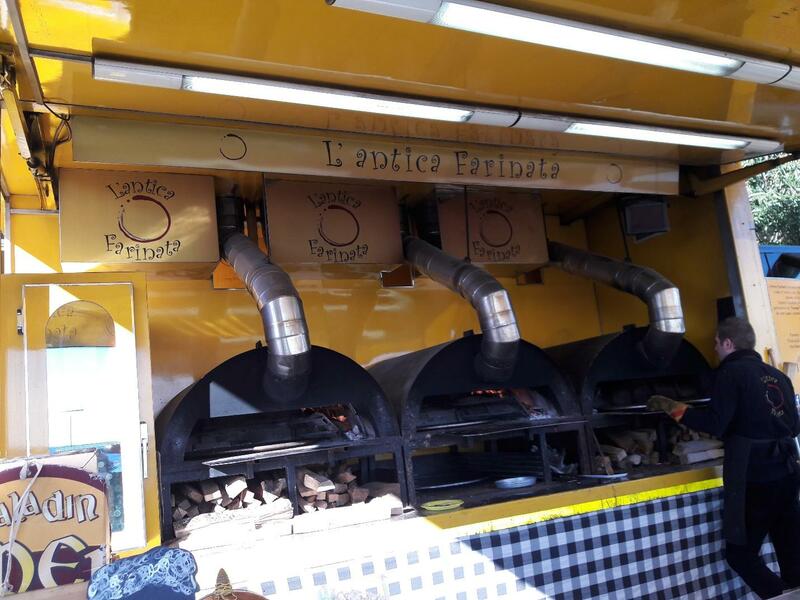 We opted for the traditional Ligurian street food, farinata, a chick pea flour, water and salt bread that is baked in a wood oven. It was scrumptious and naturally gluten free. 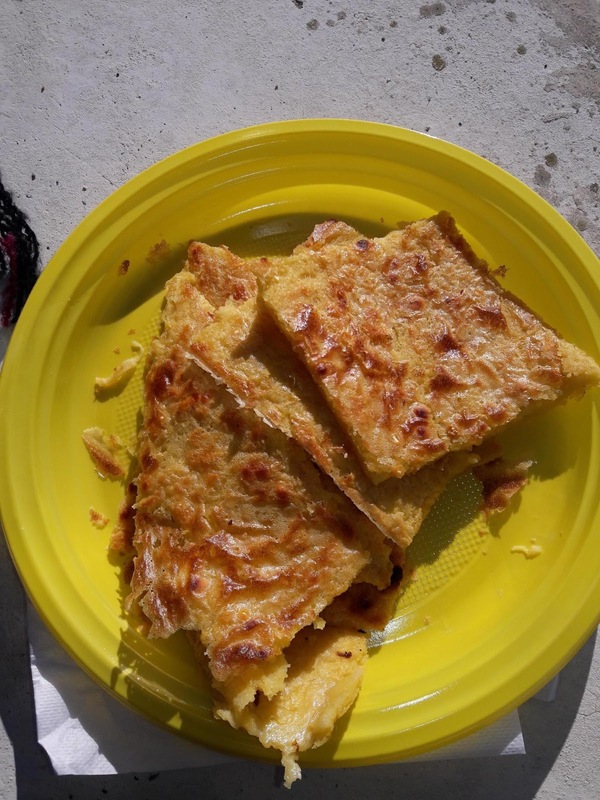 As we indulged ourselves in the farinata, we sat by the sea, enjoying the sound of the waves and the warmth of the sun. There was a local casting for his dinner tonight. It was almost time for the Medieval flag-throwing parade to begin. 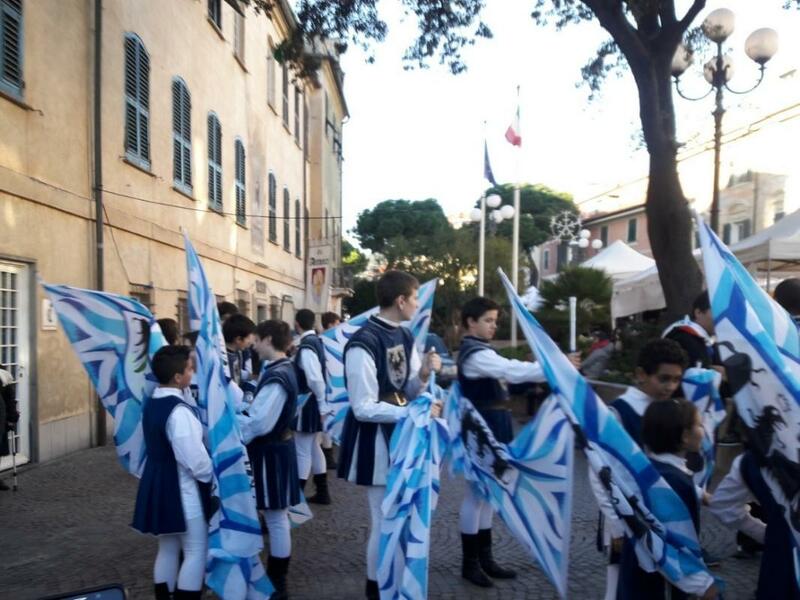 Flagthrowing, sword fighting, traditional costumes and loads of fun. Wouldn’t you have enjoyed this lovely day? 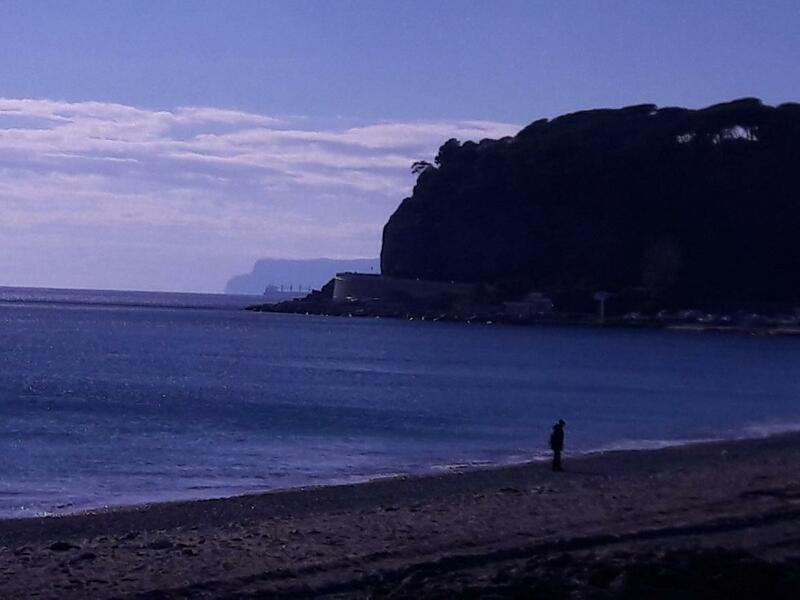 You can visit Celle Ligure any time. 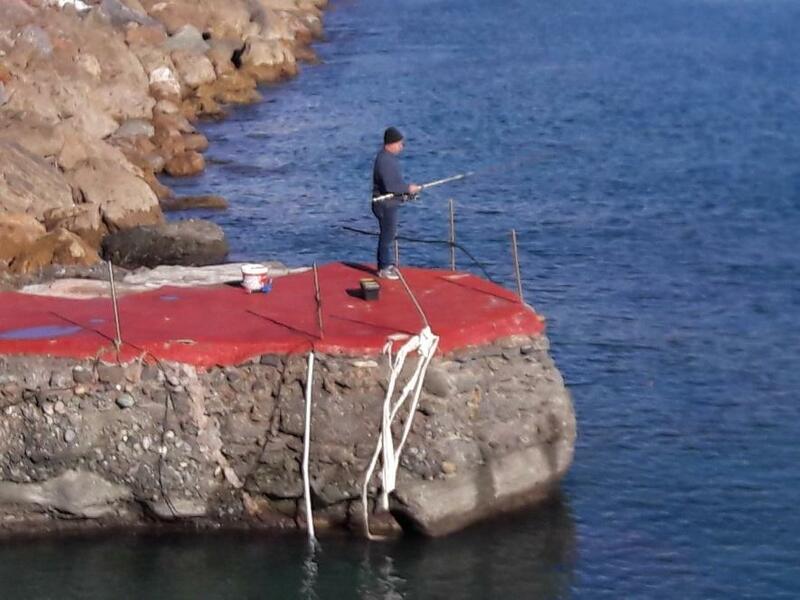 I can help you step off the beaten path to immerse yourself in the local color of a town named after the cellae, the huts for their ancient fishing boats. Let me know when you’re ready. I’ll be here in Liguria to assist you.